This story of the Don Quijote airport in Spain is instructive about one of the delusions of our times. Spain's "ghost airport" - that cost hundreds of millions of euros to build and which became a notorious symbol of the excess of the country's bonanza years has been sold to a group of British and Asian investors for just €10,000 (£7,000). Ciudad Real airport airport, in the central Castilla-La Mancha region, has been closed since 2012, despite opening only four years prior to closure. The regional authorities raised an estimated €1billion in private investment to build it. They had hoped it would draw millions of visitors each year to Ciudad Real and the surrounding area, which is known as the home of Miguel de Cervantes’s fictional knight Don Quixote. But the airport itself soon became seen as a quixotic venture, drawing just 33,000 travellers in 2010. This is of course a symbol of the investment excess in Spain in the boom years rather than of government infrastructure spending in a slump to boost the economy. But it faces exactly the same problem as all other such spending. Whether it is being done to boost the level of demand in the economy or not it is still necessary for the thing itself being built to add value. 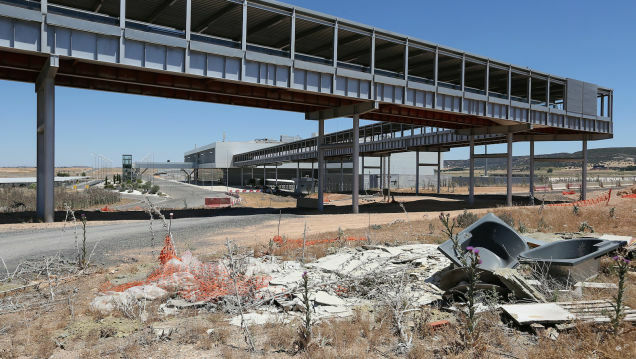 An airport (and this is not the only one in Spain) that no one wants to use is just a very expensive piece of tarmac with no other actual value. This thus makes all poorer. Which produces a problem for those who would use infrastructure spending to boost the economy in recession. If the project itself would add value then it should be built, recession or no. And if it doesn't add value then it shouldn't be built, recession or no. There is no room left for the argument that it should be built because recession.